Debbie Mytels co-founded the Midtown Residents Association in 1994 in response to concerns about the then-deteriorating Midtown shopping area. She organized a meeting at the delicatessen that was in the space now occupied by Mike's Café. Out of this first organizing meeting a group formed who were willing to work for a more vibrant shopping district, to keep Midtown pedestrian friendly, and to encourage residents' involvement in planning decisions. Debbie is extremely proud of the growth of MRA and our many accomplishments. Debbie has lived in Midtown since 1970. She bought her house while doing graduate studies at Stanford in Communications and Journalism because, believe it or not, the mortgage payment was going to be cheaper than renting! She was attracted to Palo Alto because it seemed like a town with lots of intellectuals, and she liked the looks of the Volkswagen vans bearing political bumper stickers! Debbie remembers that, after adding a second story to her house on Louis Road, she was told by a realtor that she would never "get her money out of it". He went on to say that, in fact, this addition would decrease her property value because two-story houses were never going to be found in Midtown! Debbie has always been interested in giving back to the community. She was part of a babysitting co-op in the 70's, volunteered for the PTA, and ultimately was president of the city-wide PTA Council from 1984 - 1986. She served on the Co-op Center Council Board in 1978, because she believed in the concept of a cooperative grocery store. She also served as a Girl Scout Leader from 1977-1984. In 1987, because of her work to raise awareness of Palo Alto's school funding needs, Debbie was honored with the Tall Tree award from the Palo Alto Chamber of Commerce. This award recognizes exceptional civic contributions and service to the community by individuals. Debbie's environmental work is well known. Her first job in the field was in 1987 as the Program Director at the Peninsula Conservation Center. She became its Executive Director in 1988 and served in that role for six years. Debbie then took time off to take classes in Environmental Science, while working part-time as coordinator of the San Francisquito Creek Watershed Project. After that she spent two years as part-time Director of Leadership Midpeninsula, an organization focused on developing effective local leaders. 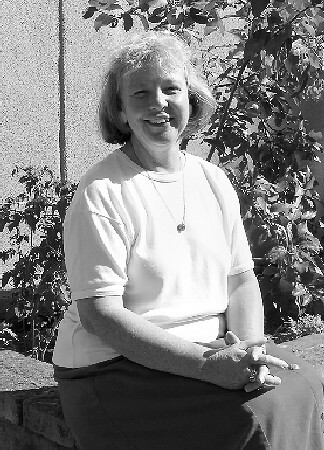 In 1997 Debbie became the second Executive Director of Canopy, a support group for Palo Alto's urban forest. Since then she did a year as Interim Managing Director at the Silicon Valley Toxics Coalition and five years as Outreach Director for the Foundation for Global Community. Since April of 2005, she has served as the Associate Director of, a group that merged two former environmental organizations: Peninsula Conservation Center and Bay Area Action. Debbie has seen lots of changes to Midtown since the 1970's. DeAnza School, where Debbie's children first went to school on Stockton Street, is gone. She remembers buying bottled milk and popsicles for her children at Piers Dairy which stood where Piers Lane now comes off of Louis Road near Seale Park. Greer Park was a drive-in theatre. Bergmann's department store was a great place to shop for sewing supplies and kids clothes. There was a laundry where Mike's Café is now, and the Score Learning Center was once Eddie's, a soda fountain with round red leather seats at the counter. I asked Debbie what she likes best about living in Midtown. Much of what she likes about Midtown is related to her long residence here. She likes knowing so many people in so many different contexts. "I feel that my history is here. I'm a part of Midtown, and it's a part of me". She likes being able to walk to stores. Another favorite aspect of Midtown for her is the diversity of our neighborhood, which is a mixture of long-term residents whose children grew up here and new immigrants to both Palo Alto and this country. She's also proud of the many different religious communities located in Midtown. There's the Buddhist Temple, a Russian Orthodox Church, Chabad, and many other houses of worship. We are extremely lucky in Midtown to have a neighbor like Debbie Mytels who gives so much of her time and hard work to the community.